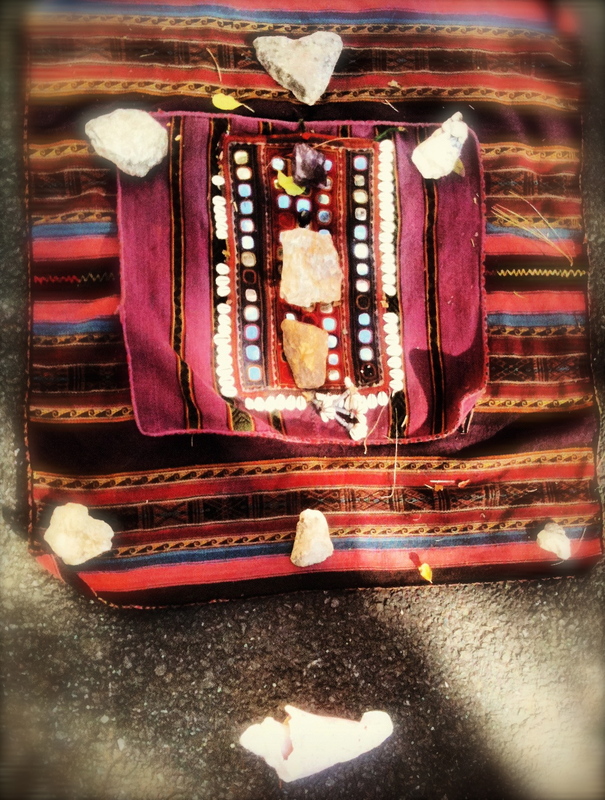 It is such an honor to offer this reading at the request of my dear lodge sister Carla Goddard, Shaman Medicine Woman, for her virtual Full Moon Healing Ceremony on Wednesday, November 28th. I held a fire on Friday night, the 23rd, as I opened my mesa with the intention of asking what do those who are called to this fire need to see? My mesa lay open on Pachamama, under the night sky, one that brought rain and fierce winds by morning. All elements were present and accounted for! There is a beauty and a mystery that burns within every soul that calls us to this fire. One that cannot be known through intellect. A calling that spans through time and space, through any perceived borders or boundaries. A call from all directions on our globe. There is no differentiation of race, creed or belief that determines the arrival of each soul to this sacred destination. We have come for we are doing the work of the collective. Burning ancient roots embedded in both our personal and collective psyches. Burning mistaken identities of who we are. Burning ideas and beliefs of what does it mean to be spiritual. Burning masks of what we think our spiritual personas are supposed to be. False and mistaken identities we have come to believe as truth. The limited versions of ourself. The overly nice parts of who we are. We have come to burn the shadows of our soul. Our demons are a part of our humanity that cannot be ignored, suppressed or denied for it is the demons of our darkness that are clamoring to the light. Hidden in fear for centuries, through eons of time. This is what is deconstructing. This is what is called to the fire now. The longing of the lies to die. Our souls can no longer tolerate the lies we have told ourself, the lies imprinted upon us. We have lived with these lies for so long we are uncertain of who we are. Without these false cloaks of spiritual identity there is chaos. A deconstruction of what we think we know. And this is part of what calls us to this sacred flame. Yet the fire also feeds our luminous body. It feeds our passions. It fuels the spiritual seeds of awakening just as water nourishes seeds planted in the belly of the Earth. Our spiritual seeds are awakened by fire. We are called to deconstruct. And we are called to rebirth. To become more intimate with the sacred fire that burns within each one of us. To learn the ways of tending our own sacred fire so our fires are not raging out of control. So we have enough resources to sustain and feed our fires. So we keep the eternal flame of our sacred fires burning in our hearts and bellies to feed our sacred purpose and our walk in the world. To feed and tend our relationships both with ourself and with those we are most intimate with. So that the fires within us do not consume the fires of another but rather feed and sustain the fires within every soul. The shell at the bottom is off my mestana (textile). It speaks to the depths that are necessary. The depths of listening, the depths of vulnerability that we are being asked to surrender to in order to source from the deepest waters of mystery. The strategies we have used to control and manipulate the outcome are no longer sustainable to navigate the course of our life. We may believe we have given up all control. We are being asked to go deeper than ever before. Deeper into the unknown. We must be surprised, allow something new to arise and awaken from our depths or we are holding on to the safety of certainty. Our vulnerability is the source of our truest power. Any place not in alignment will not be sustainable. This may appear as a crisis and create fear around a loss of control. But the crisis is an agitation of a state of being whose energetic vibration can no longer be sustained. Our roots have anchored us to our past. Our roots have hidden in shadows. We may be blind to how our demons are informing our actions. We cannot change what has come before but if our roots are tangled in resentment, bitterness or anger we need to clear these channels so our roots are anchored in our power to create. Our channels to source are clear. 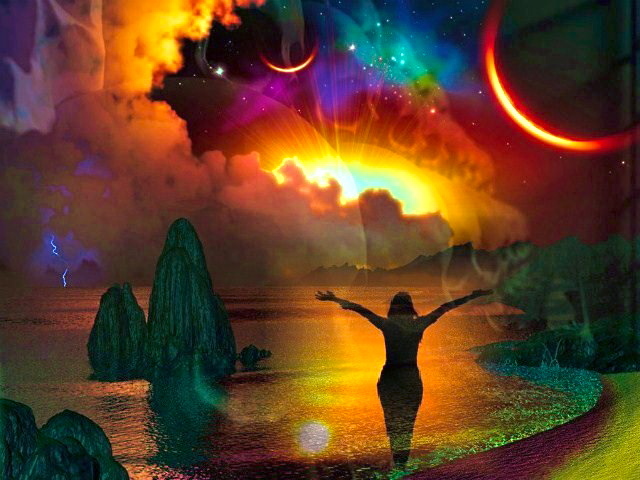 We consolidate our creative power and channel that life force energy so we may align with our sacred purpose. We cultivate a sacred expression of our life in action. Our source arises in stillness. Our inner authority is our guide. The direction we travel is one of depth. The depths we reach in silence and stillness are the depths to which we ride the rivers of our destiny. and greet it with all your heart.